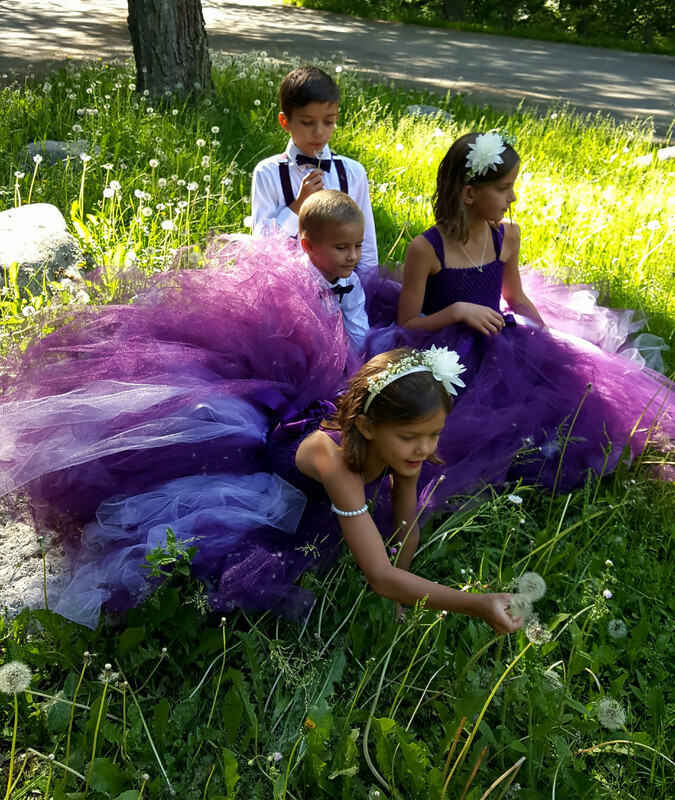 Eggplant plum flower girl dress with long lavender satin bow. 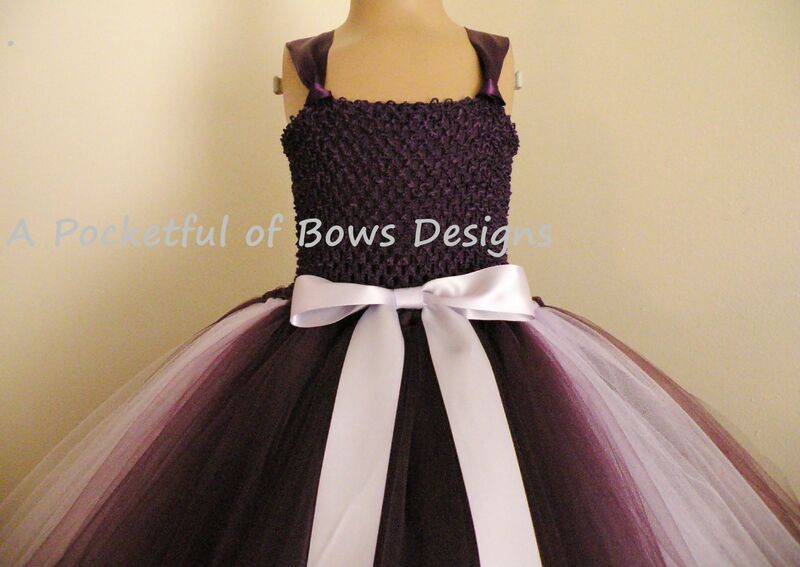 This tulle dress has a fully lined top with satin shoulder straps. 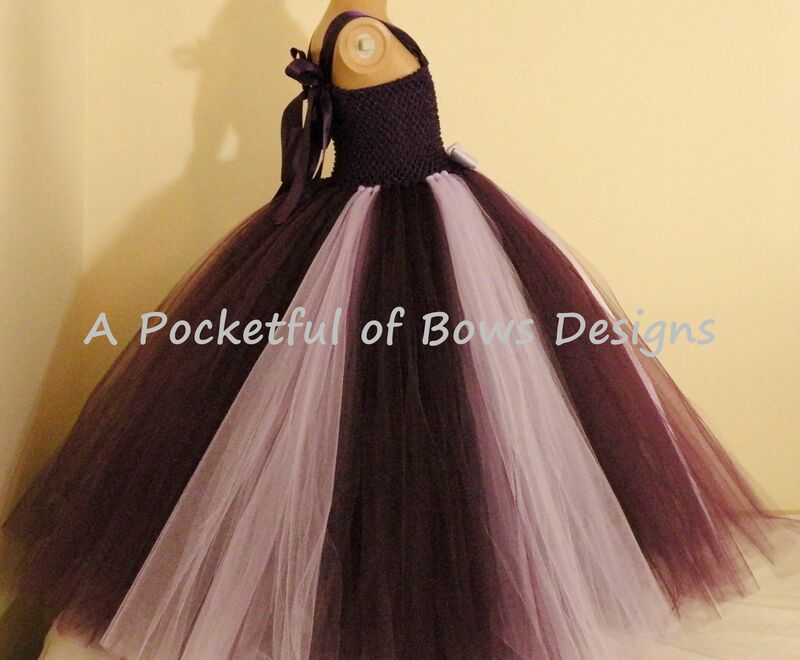 The ball gown skirt is eggplant plum with the added detail of lavender. 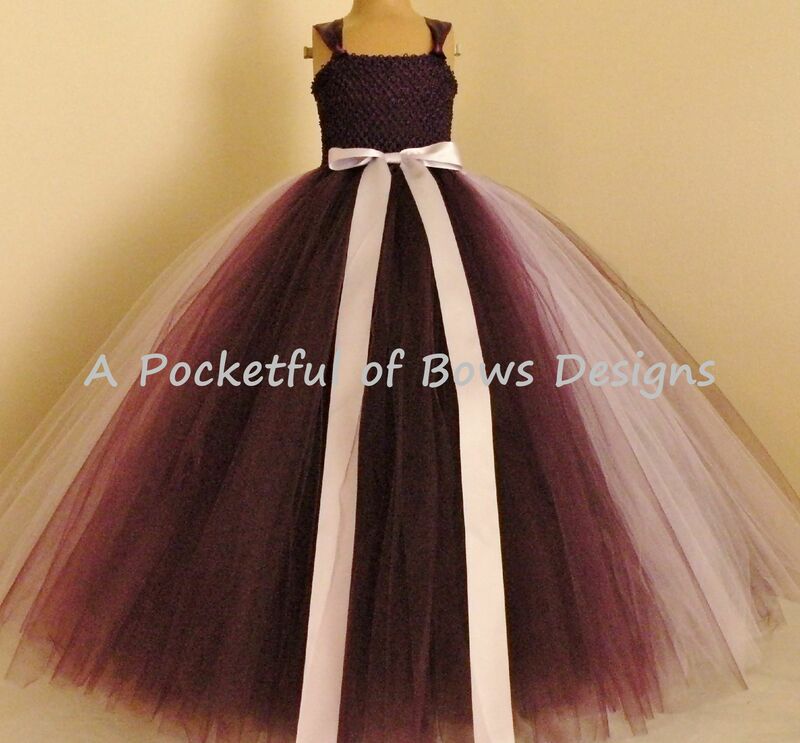 The super full skirt has a pretty lavender bow. Details can be added to the top of the dress for a more custom design. Larger girls sizes are available! Production time is usually 2 to 3 weeks for most ball gown style dresses. Need your dress sooner please message me your request. The add a slip feature adds a matching color sewn in slip to the skirt.